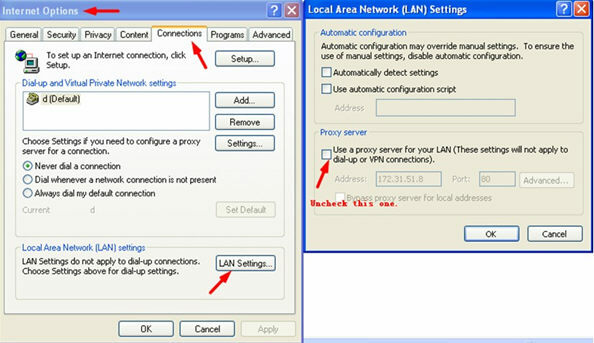 Why I can access internet using Tor browser but not from any other browser? I'm using internet through local reseller that uses mikrotik server. Some times like now I can browse internet using Tor browser but not from any other browser. I want to know why may that happen ? Ping request could not find host www.google.com. Please check the name and try again. It looks like your machine is having trouble resolving the name (DNS) for google.com into its IP address. I would double-check your DNS configuration and make sure you're using valid DNS servers. Not the answer you're looking for? Browse other questions tagged networking browser internet-connection ping tor or ask your own question. Why is google.com not opening for me? Why do I need to add a period after hostname in order to get DNS resolution to work? why does whenever I'm not connected to my VPN, everything on my computer fails to connect for about 1 or 2 minutes?